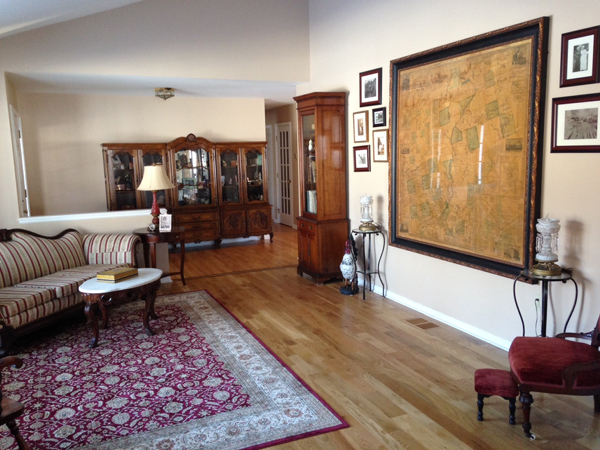 The cabinet to the left of the far lamp is filled with antique books and other family heirlooms. 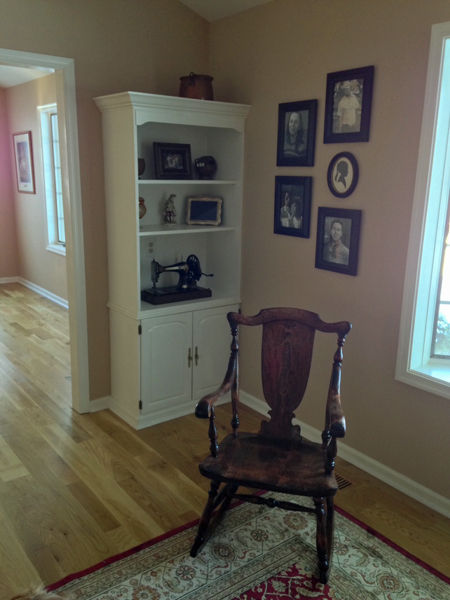 Black and white family photos on the wall behind an antique rocking chair Ed restored. On the bottom shelf is an sewing machine of my mom’s. 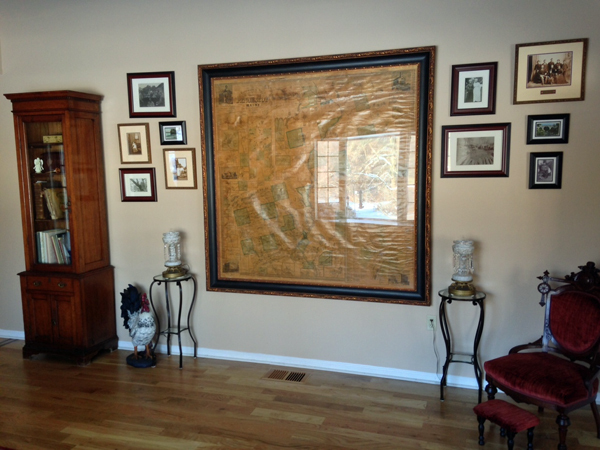 This entry was posted on Wednesday, January 22nd, 2014 at 3:22 PM	and posted in Pictures, Wordless Wednesday. You can follow any responses to this entry through the RSS 2.0 feed.